November | 2014 | Sonic Smash-Music! The singer and dancer known as Mary Bright has released her debut dance single, “Dance in the Dark.” The track has been produced by Anthony Holt and published on the Script Records independent music label. Uplifting, vivacious and full of joie de vivre, “Dance in the Dark” by Mary Bright is an electronica single that brings the verve and heat of dancing out of the clubs and into the night. Mary Bright cites as main inspirations a wide variety of music from a broad spectrum of artists. Her own debut single, “Dance in the Dark,” is a track with highly danceable, bass-bumping electronic instrumentation and lovely, lilting female vocals provided by Bright, herself. It is infused with the best elements of traditional house music while remaining cutting-edge and fresh to the ear. It is highly suited for public playing by DJs anywhere in the world. Her new song isn’t simply a celebration of dancing, however. It is also an invitation to let the sound and motion heal us – all of us. “Dance in the Dark” by Mary Bright and produced by Anthony Holt is available online worldwide. The singer, songwriter, and newly returned artist of R ‘n’ B and soul known as Taylor James has released his latest LP record album, “Olde School.” The LP is comprised of eight original James tracks for an approximate total listening time of 40 minutes. Like the rest of his contemporary rhythm and blues, “Olde School” has been published on the Hearts of Gold Music independent record label. 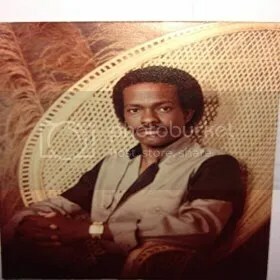 Carved out of the synth-powered, popular rhythm ‘n’ blues style of the late ’70s and early ’80s, “Olde School” by Taylor James is easily one of the best R ‘n’ B albums to be released in decades. Asked to describe the themes and motifs of his LP, Taylor James writes three simple words in reply: “Love, peace and happiness.” Common subjects of his music on the record span from tender romance to the action of a weekend nightclub in a modern city, and his music styles are likewise varied to feature a gamut of tones, moods and emotions. “Olde School” by Taylor James is an album to be played in virtually any listening circumstance. Featuring crystal-clear vocals and harmonies which are easily superior to the broad majority of what is commonly played on popular public radio stations today, James’ record stands as a reminder of the very high standards musicians, listeners, and the music industry in general used to have. It takes ten seconds of listening to hear that Taylor James has assembled a clutch of songs on par with the very best records in one’s collection. Taylor James (born James Albert Taylor) cites as main artistic influences James Brown and Quincy Jones. Born in 1953 in Vicksburg, MS, he is a graduate of Jackson State University with a degree in music and a minor in recording engineering. He has been writing, recording and producing music since the age of 17. James served as drummer and lead vocalist for Wynd Chymes, whose two LP albums are still in circulation online. His own first album, “No Way Out” appeared on the Great Southern Productions (GSP) music label in 1984. He wrote and produced music under GSP from 1976-1990, after which time he built his own studio and recorded such popular artists as Willie Clayton, Bobby Rush, the William Brothers and the Canton Spirituals. “Olde School” is a flagship portion of several tracks to be released from Taylor in late 2014, including such other titles as “Good News,” “A Taylormade Christmas,” and “Say It’s Me / Living for You.” Each title has been produced and published by the Hearts of Gold music label. “Olde School” by Taylor James is available online worldwide. R ‘n’ B and soul artist Taylor James has released an instrumental version of his latest single, “Good News.” Like the original version, it has been proudly published on the Hearts of Gold Music independent record label support from the corporate music power structure. Likewise brimming with elements of funk, soul, gospel and rhythm ‘n’ blues, James’ “Good News” instrumental brings together the best of the four styles of music for a rolling, jamming, grooving good time. Taylor James (born James Albert Taylor) cites as main artistic influences Godfather of Soul James Brown and famous producer Quincy Jones. The core components of each of these are prominently featured in his “Good News” instrumental, and fans of R ‘n’ B, funk, and soul are sure to be equally enthusiastic for the return of good pop music upon first hearing the track. The Hearts of Gold Music label have seen to it that James’ track features truly ingenious, spotlessly clean studio production. This, combined with naturally flowing songwriting and picture-perfect instrumentation, ensure that James’ “Good News” instrumental is a stunning listen from start to finish in an entirely different way from the original standard edit. “Good News” and its accompanying instrumental version are the most significant releases from Taylor James in recent years. They have been published concurrently with an official, high-gloss music video, also. They represent the first of several tracks to be released from Taylor in late 2014, including such other titles as “Olde School,” “A Taylormade Christmas,” and “Say It’s Me / Living for You.” Each has been proudly produced and published by the Hearts of Gold Music label. “Good News” by Taylor James is available online worldwide. 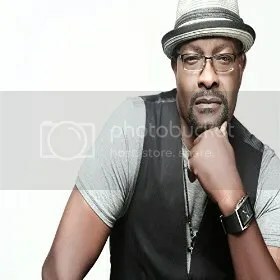 The singer and songwriter of contemporary R ‘n’ B and soul known as Taylor James has released his latest single, “Good News.” It has been proudly published on the Hearts of Gold Music independent record label, entirely without financial or managerial support from the corporate music entities. Infused with elements of funk, soul, gospel and rhythm ‘n’ blues, “Good News” is a glorious modern iteration of the Motown sound as well as an upbeat musical push for better social values. Taylor James (born James Albert Taylor) cites as main artistic influences Godfather of Soul James Brown and mastermind music mogul Quincy Jones. Taylor James’ own sound and style on “Good News” possesses many of the most important qualities of these. Perhaps most prominently, it exhibits the unstoppable funk and groove of James Brown, but also the razor-sharp songwriting and studio production of Quincy Jones. Lush, danceable and highly textured, “Good News” is easily one of the most powerful singles of 2014 to seamlessly blend no fewer than three genres of music, and indeed probably more. “Good News” is the most significant release from Taylor James in recent years, and has been published concurrently with an instrumental version as well as an official, high-gloss music video. It is the first of several tracks to be released from Taylor in late 2014, including such other titles as “Olde School,” “A Taylormade Christmas,” and “Say It’s Me / Living for You.” Each has been produced and published by the Hearts of Gold Music label. 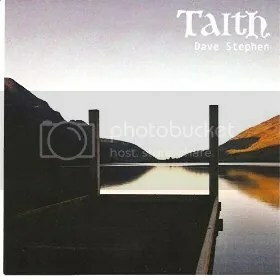 The popular guitarist and songwriter from Wales known as Dave Stephen has released his latest LP record, “Taith.” It comprises 12 original tracks for an approximate total running time of 50 minutes, and has been published on the Bricsan independent music label. Founded on principles of folk, Celtic, and rock music with elements of other genres stirred in for good measure, “Taith” is the most recent example of the rich, contemporary musical culture of Wales, showcased here by Dave Stephen. “Taith,” which is Welsh for ‘Journey,’ is an entirely instrumental collection of guitar duets with some added percussion. Joined here with longtime collaborator Gareth Moriarty, Dave Stephen showcases his guitar chops with a rare combination of modest, natural talent blended with consistently impressive, intriguingly complex chord progressions and songwriting. As fans have come to expect from music by Stephen and Moriarty, “Taith” is dazzlingly creative and colorful. A simple glance at song titles elicits proof of this: “Moses Knows His…,” “Three Mind Lice,” and “Shoot Me I’ll Shoot You Too” are some of the more prominent examples, though the depth of tonal and stylistic variety on the LP is the real treasure. A comparison of “Shoot Me…” and Track 2, “Deep Waters Flow” yields a sonic duality which is braided rather than at odds. This multifaceted nature of “Taith” makes it a sure thing for fans of nearly any genre, but especially for those who appreciate raw, brilliant songwriting, lush Celtic undertones, and arresting performances on guitar. Although itself being billed as a solo project, “Taith” is the third full-length release to feature Dave Stephen and Gareth Moriarty in late 2014, both of whom also play in the popular Stephen-led Welsh group, Amser. Amser’s most recent releases include October’s “Crochan” and November’s “Amserau,” both of which also come to the world from the Bricsan label. “Taith” by Dave Stephen is available online worldwide. Guitar fans and fans of highly creative instrumental music should absolutely get in early. 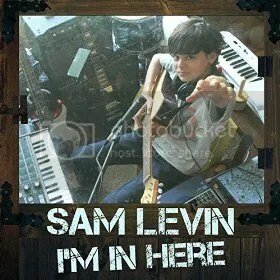 The 12-year-old singer and songwriter known as Sam Levin has released his debut EP album, “I’m in Here.” The album comprises five original and previously unreleased tracks for an approximate total listening time of 20 minutes, making for a satisfying introduction to this rapidly rising star from New York City. It has been published on the Clarence Productions independent music label. Upbeat, soulful, startlingly introspective and based on pure rock and roll principles, “I’m in Here” is an EP everyone should be paying attention to, and for several reasons. “This year while I was writing and recording these songs I listened to a lot of Counting Crows, JJ Grey & Mofro, Galactic, and John Scofield,” writes Levin, whose new record has been anticipated by two singles, October 2012’s “I Sure Hope Not,” and “Being With You Is Easy,” which appeared a year later. Naturally, a great deal of change can be heard over the first two years of Levin’s music career. His first single sounds not unlike a happier Jack Johnson, while “Being With You Is Easy” feels decidedly Beatles-esque. Now, having recorded a full five tracks over the last year, complete with backup vocals, layered harmonies, varied instrumentation and truly thought-provoking lyrics, it seems that Levin isn’t just ready for the public eye and ear – he’s already there. “Well, each song has its own message. ‘I’m In Here’ says that even though we all act or think differently from one another, deep down we are all just people with feelings who want the same things. I plan on donating the money I make from this song to a charity that helps children with autism. “’On My Way to You’ is about how life is full of stress and things we have to do and places we have to go, but there is always comfort in returning home. “’Why Not’ is about all of the awful things that powerful people do that hurt the planet and the people, just so they can have more money. It’s obvious those things should change, but they don’t, and I can’t figure out why not. Sam Levin writes, sings, and plays guitar, piano, bass guitar, saxophone, and drums and percussion. He performs pop, rock, jazz, blues, funk, and Latin music, and often blends these sounds for a result that approaches alternative. He studies music and music theory at the Lagond School in Elmsford, NY. When not releasing official singles and records, Levin enjoys video and board games, makes short films, and reads fiction, nonfiction, graphic novels, and Game Informer. “I’m in Here” by Sam Levin is available online worldwide. Fans of musical genius everywhere should get in early. 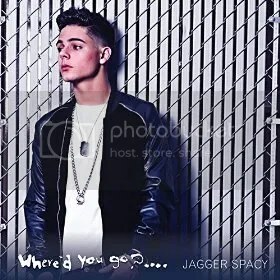 The rapper and songwriter known as Jagger Spacy has released his latest pop single, “Where’d You Go?” The track has been published as an independent release entirely without support from the corporate music infrastructure. Melodic, heartfelt, and spat with razor-sharp accuracy and groove, “Where’d You Go?” is a masterpiece of urban pop from this up-and-coming talent from Arizona. Jagger Spacy cites as main artistic influences only one artist, Eminem, holder of 13 Grammy Awards at the time of writing. Spacy’s own style of rap on “Where’d You Go?” has certain qualities in common with Eminem’s, such as witty and intelligent lyrics, clever rhyme schemes, and syncopated vocal rhythms which form the key strength of Spacy’s music. His new single also features truly fantastic singing in each chorus, impeccable harmonies, and some of the most polished studio production to be heard anywhere. His music isn’t just written for himself, however. Through songs like “Where’d You Go?” Spacy aims to bring a little help to the public at large, too. Jagger Spacy has been writing, performing and producing music since the age of 18, when the tracks he recorded using the GarageBand program convinced his parents that he should be recording in professional studios. As “Where’d You Go?” clearly demonstrates, they were absolutely correct. “Where’d You Go?” by Jagger Spacy is available online worldwide. Fans of rap, pop, and hip-hop music should get in early.